Make fine loose tea easy to handle with these recommended tea filters and tools. t-sac paper tea filters are made in 4 sizes for infusing loose teas and offer easy clean up! 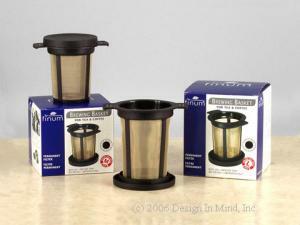 Reusable tea filters include baskets by Finum(Teeli) and Swissgold, cotton socks, and stainless mesh styles. 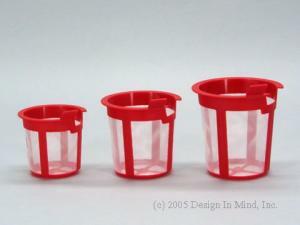 Replacement tea filters are available for Chatsford teapots, Beehouse teapots, and several styles of glass teapot. Remember: tea must stay hot to infuse properly. A beautiful tea cozy does the job. 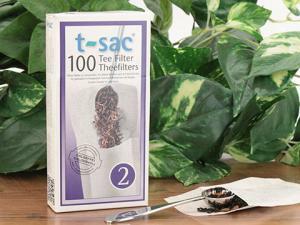 T-sac tea filters let you make your own teabags with great loose teas. Replacement infusers for Chatsford teapots and Kavalier glass teapots. 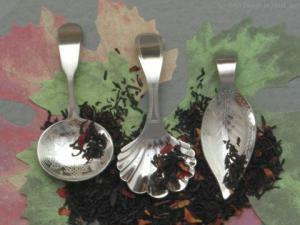 Scoops and scales for measuring loose tea accurately. 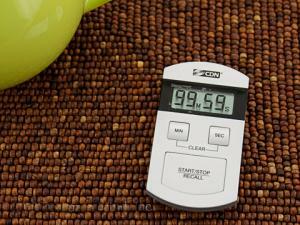 Timers and thermometers help prepare loose leaf tea properly. 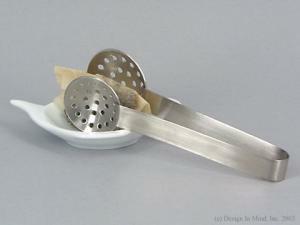 A collection of strainers and tongs for loose leaf tea and tea bags.